2017 recruit Shane Bowers scored unassisted—his sixth tally of the season—and assisted on another goal in Waterloo’s 5-4 overtime win against Dubuque. The Halifax, Nova Scotia, native has goals in five of his last six games is tied for sixth in USHL scoring with 12 points. 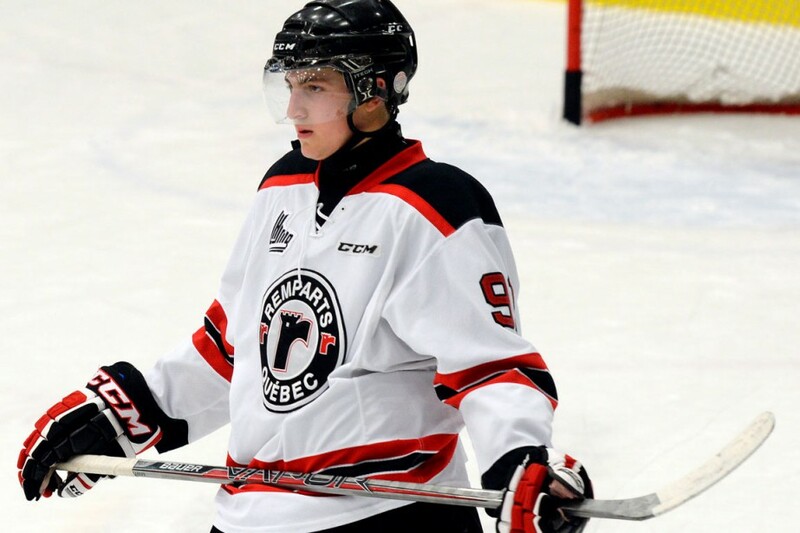 TSN analyst Craig Button chimed in on Bowers’ verbal to play at BU, issued last season. 2017 recruit Logan Cockerill (photo) scored an unassisted goal to give the NTDP U18s a three goal lead over Princeton, but the Tigers roared back to win in overtime, 5-4. 2017 recruit David Farrance recorded an assist for the second night in a row. 2018 recruit Matt Quercia’s second goal of the season for Sioux Falls was assisted by 2017 recruit Kasper Kotkansalo—his first USHL point—in the Stampede’s 4-3 loss to Muskegon. 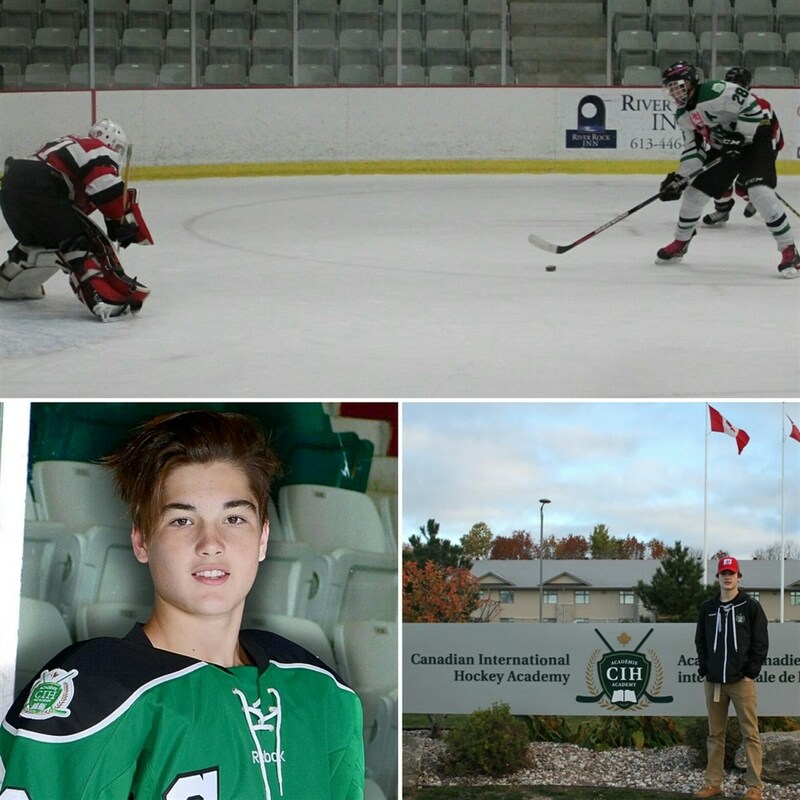 2020 recruit Dylan Peterson scored a goal and added an exist in CIHA's 8-4 defeat by Eastern Ontario Wild Bantam. Chris Bourque scored his first goal of the season in Hershey’s 4-3 loss to Binghamton. 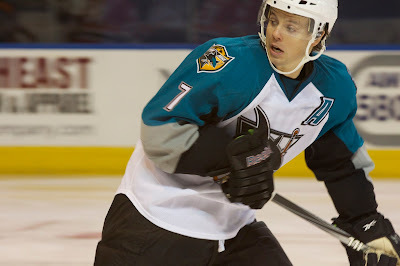 Bourque was the 2015-16 top scorer in The AHL. In 2015-16, he led the AHL in scoring with 80 points. Former BU MVP Alex Chiasson assisted on a pair of goals as Calgary came from behind twice to defeat Ottawa, 5-2. 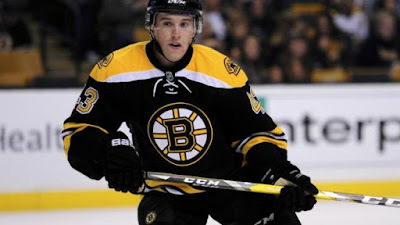 Former Terrier captain and All-American Matt Grzelcyk scored his first professional goal in the Providence Bruins’ 4-2 win over Utica. The Charlestown, Mass., native, who now has three points in eight games, fired a shot past Comets goalie—and former BC netminder—Thatcher Demko. Evan Rodrigues scored a pair of goals for Rochester, but St. John rallied with three in the third for a 5-3 win. ERod has five points in six games for the Americans, whose roster also includes Matt Lane. Matt O’Connor stopped 27 shots in the Binghamton Senators’ 4-3 loss to Syracuse. Former BU captain John McCarthy scored his first goal of the season in the San Jose Barracuda’s 4-0 shutout of the Bakersfield Condors. 2017 recruit Hank Crone assisted on a pair of goals for Fargo, but the Force fell to Tri-City, 5-3. 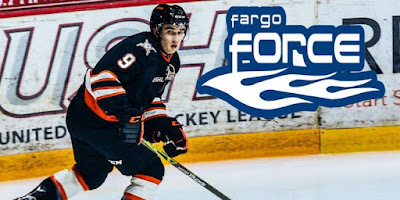 Crone is tied for the Fargo scoring lead with 12 points and is tied for third in USHL league scoring. 2017 recruit David Farrance assisted on a goal in the NTDP U18s' 3-2 loss to Youngstown. “Dylan Peterson truly is a special kid. Dylan’s on-ice ability is without question incredible, however, couple that with his off-ice dedication and maturation level is something I personally have never observed from a 14-year-old before. To have the intestinal fortitude Dylan has at the age of 14 to continue to better himself both on and off the ice is very difficult to teach, so to have that naturally built within himself is such an important ingredient to not only succeed as a hockey player but also in life."